Gay rights: A liability for the Democrats? 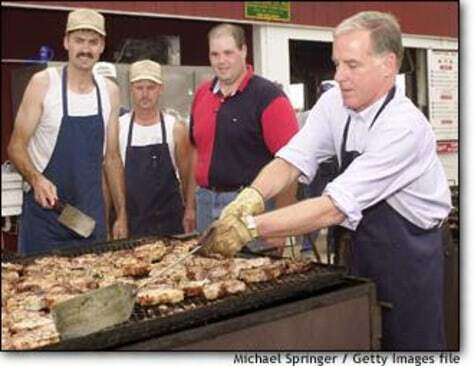 Howard Dean grilled pork chops as he campaigned at the Iowa State Fair last week. Elsewhere in the state, Dean was grilled himself on the topic of gay rights.